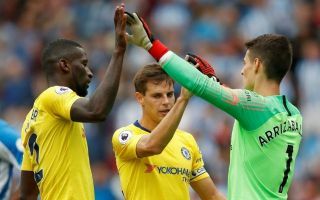 Chelsea suffered a heavy 4-0 defeat to Bournemouth in midweek, and defender Antonio Rudiger hasn’t minced his words when discussing the loss. While dropping points in the race for a top-four finish in the Premier League was a big enough blow in itself, the manner in which Chelsea folded left them open to heavy criticism. As they prepare to host Huddersfield on Saturday afternoon, Rudiger has offered a brutal, but accurate, look back at the game and has insisted that he and his teammates must produce a positive reaction this weekend. “Everyone needs to be ashamed of what happened in the last game,” he is quoted as saying by Sky Sports. “Everyone needs to think very deeply about that because you can win, lose or draw, but it’s the manner which is important. “We have played better this season and that’s what hurts, we didn’t really try to change this result, that is what is bad. February is huge for Chelsea and Maurizio Sarri due to the packed fixture list that they face. From an FA Cup clash with Manchester United to Europa League commitments and league clashes with Manchester City and Tottenham as well as the League Cup final. The Blues will have to learn from their mistakes and learn quickly in order to avoid any repeats moving forward, and so perhaps the fact that Rudiger has been so brutally honest publicly, it will help them address their flaws and re-focus them ahead of facing Huddersfield. Chelsea now sit in fifth place in the league table, level on 47 points with fourth-placed Arsenal. In turn, Rudiger is right to now focus on getting back to winning ways and responding to the disappointment in midweek.